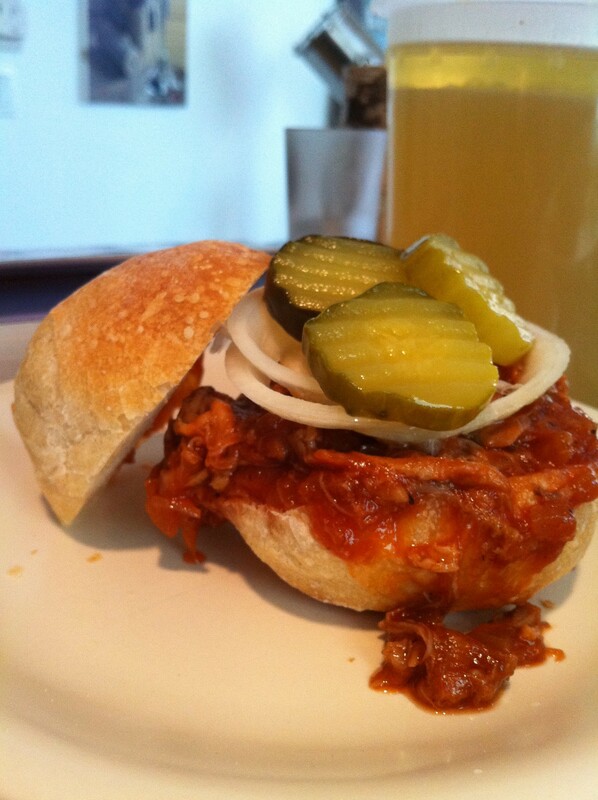 The first time we made these delicious barbecue pulled pork sliders was at a western-themed cowboy party we threw for our neighbors. It requires quite a lot of work, but the finished product is really finger-licking good and well worth the effort. Today, we made some Kwas’Ne Polish Soup and have some of those flavor-infused slow-cooked pork reserved on the side… it’s a no brainer, we are making pulled pork sliders. Combine the onion, garlic, and whiskey in a medium sauce pan over medium heat, simmer until the onion is translucent, about 10 minutes. Mix in the ground black pepper, salt, ketchup, tomato paste, vinegar, Worcestershire sauce brown sugar, and hot sauce (if you’re using it). Bring to a boil, reduce heat to low, and simmer for 20 minutes. We blended the sauce with a handheld blender for a smoother consistency. You can also run the sauce through a strainer to achieve the same texture, or just leave it as is. 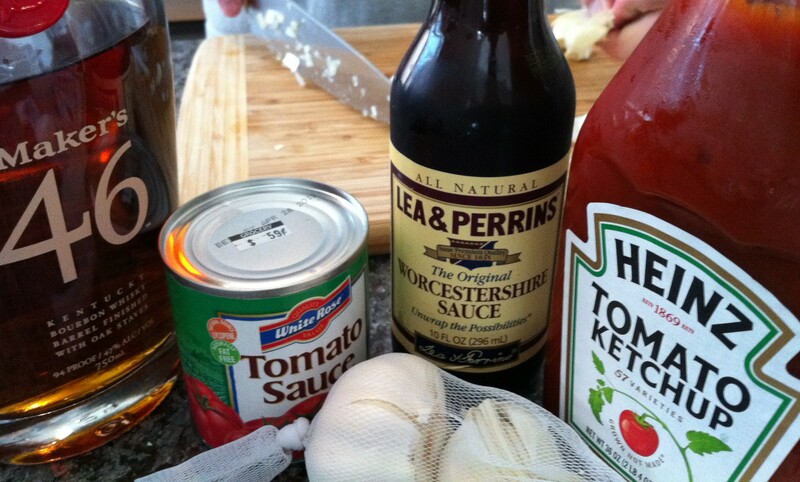 This recipe makes a big batch of sauce. 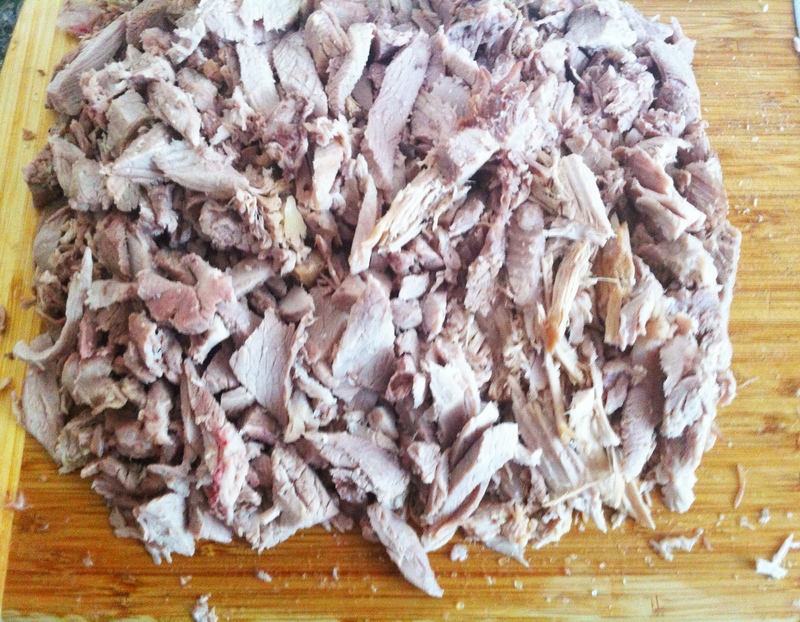 Scoop the sauce over the pulled pork and mix until all of the pork is coated evenly. 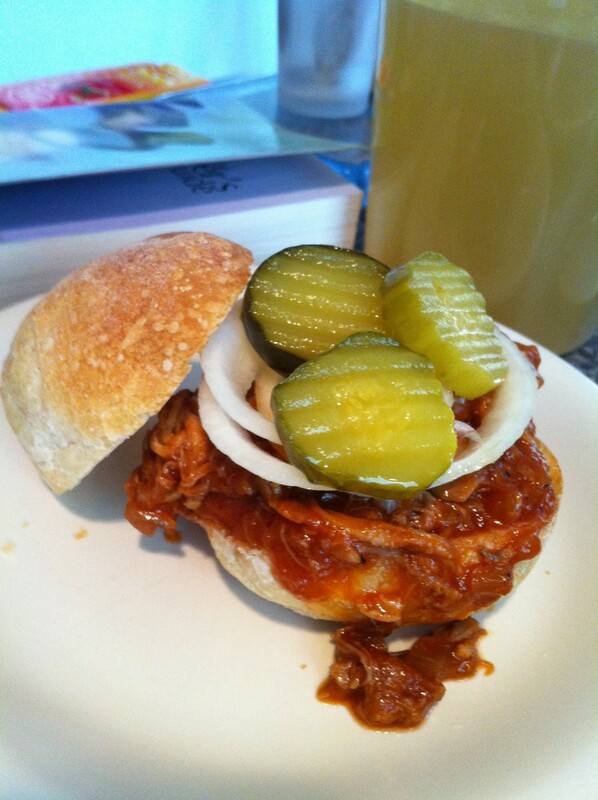 Layer the pulled pork, onion, and pickles on the dinner rolls, and you have your homemade barbecue pulled pork sliders! It is a cold and rainy Saturday and some friends are planning to stop by later for a glass of wine. 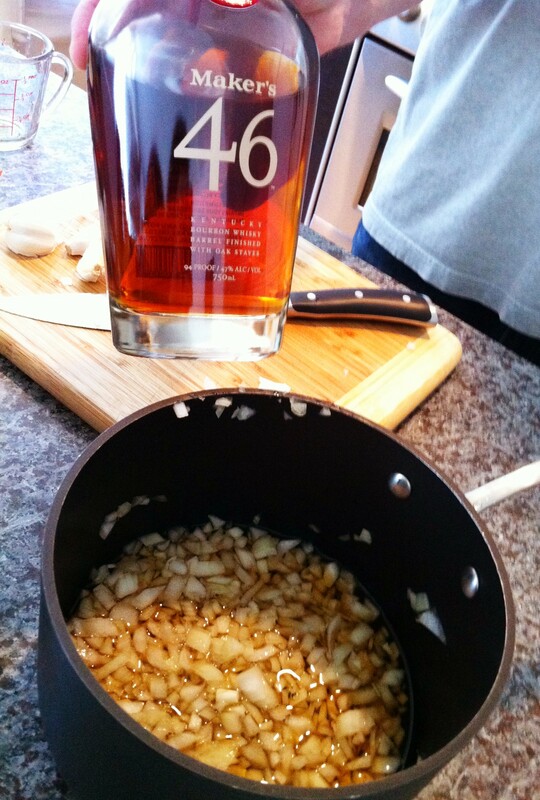 What better reason than to make a large pot of mom’s Polish Kwas ‘Ne (pronounced VASH-nuh, at least in our household). 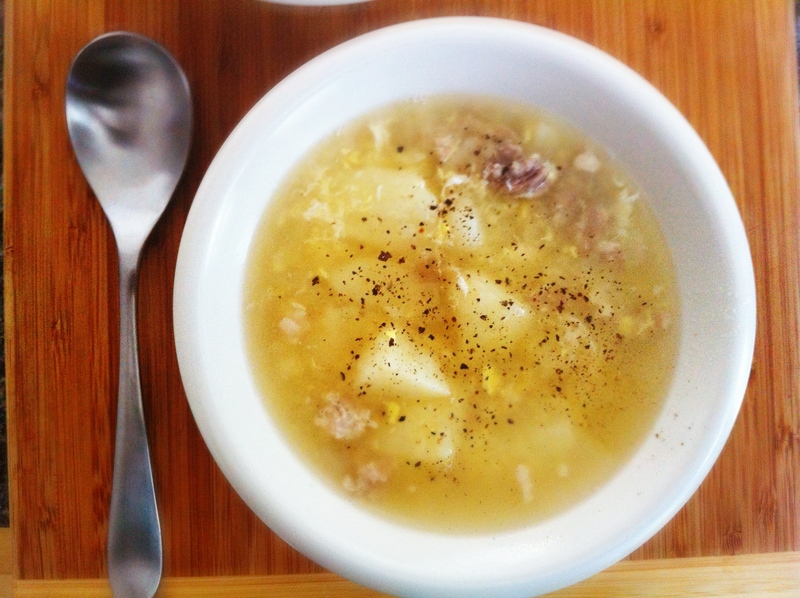 Although we’ve never come across this recipe in cookbooks or even online, it’s been in the family for years (note to our readers: you might’ve figured out that one of us is Taiwanese; the other has strong Polish roots and grew up eating this soup). Some have referred to this recipe as “sweet and sour soup”, and my five year old niece calls it “pickled soup” (most likely from the vinegar added at the end). Whatever you call it, this makes for a fantastic and hearty meal that is always a hit with first-timers, and reheats well even after being frozen (so freeze whatever you don’t eat!). Cut a two inch by two inch piece of cheesecloth, fill it with peppercorns and coarse salt and, using excess threat from the cheesecloth, tie into a ball. Throw this into a large pot of salted water. 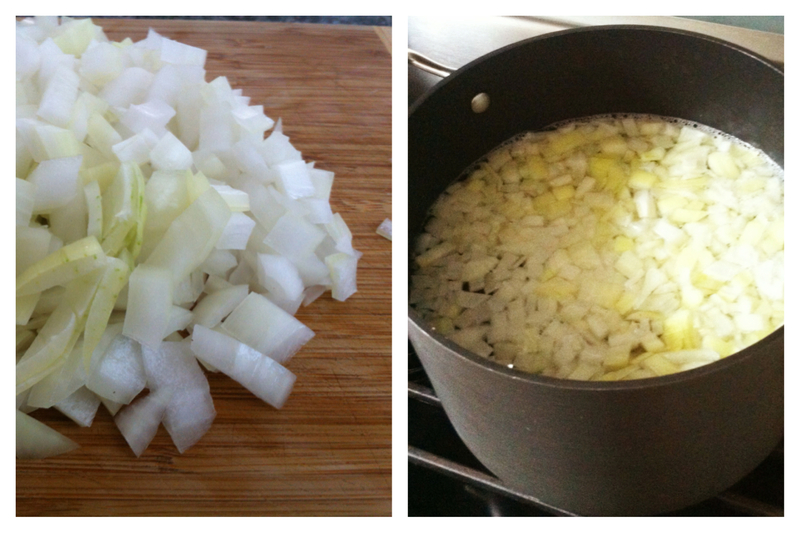 Dice the large onion and add to pot along with the pork shoulder or other ham bone. Bring to a boil, cover and simmer for at least three and a half hours. While the spices, onions and pork simmer (and create a heavenly smell in your kitchen), peel the potatoes, cut them into eighths and then store in a bowl of cold water. After about three and a half hours or so, test the pork with a fork to see if it’ll fall of the bone with little resistance. 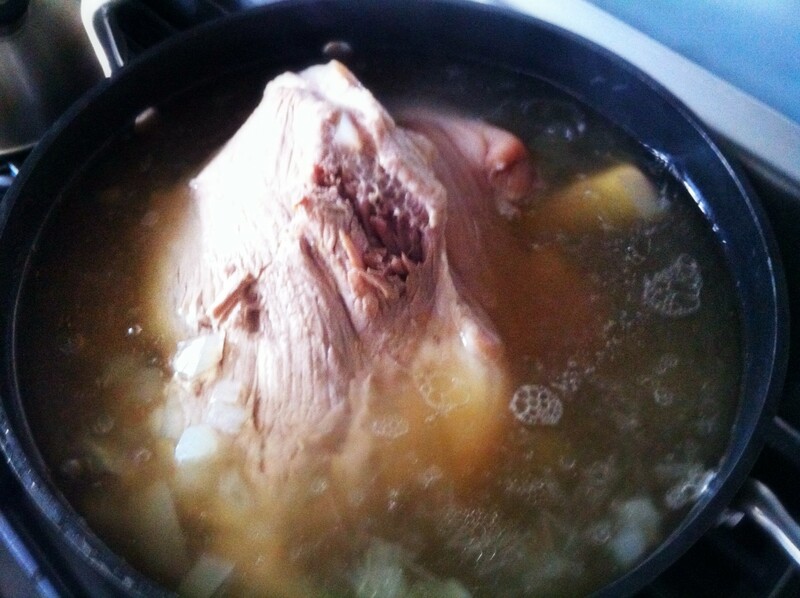 If so, remove the entire pork shoulder from the broth and place on a cutting board. 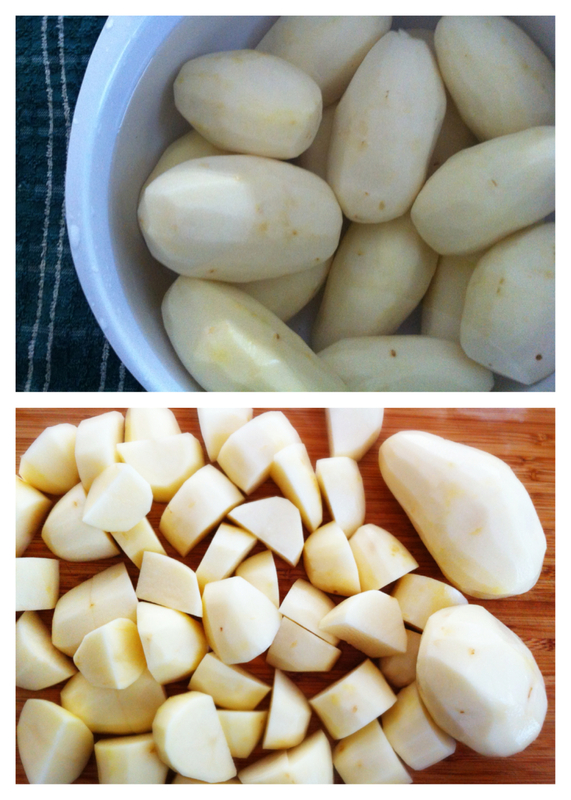 At this point, drain the potatoes from the cold water, add to the broth, bring to a boil and then simmer. 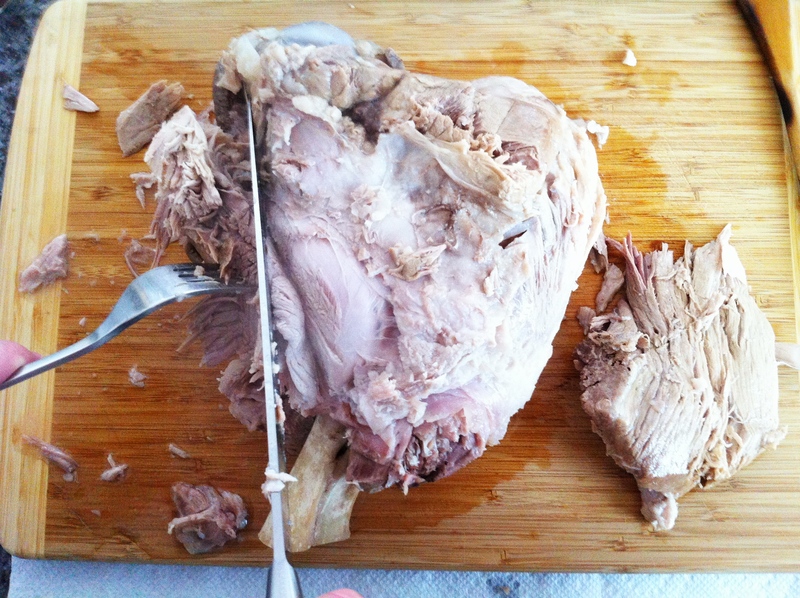 Clean the pork off of the bone and remove the fat, then shred into manageable pieces and salt. 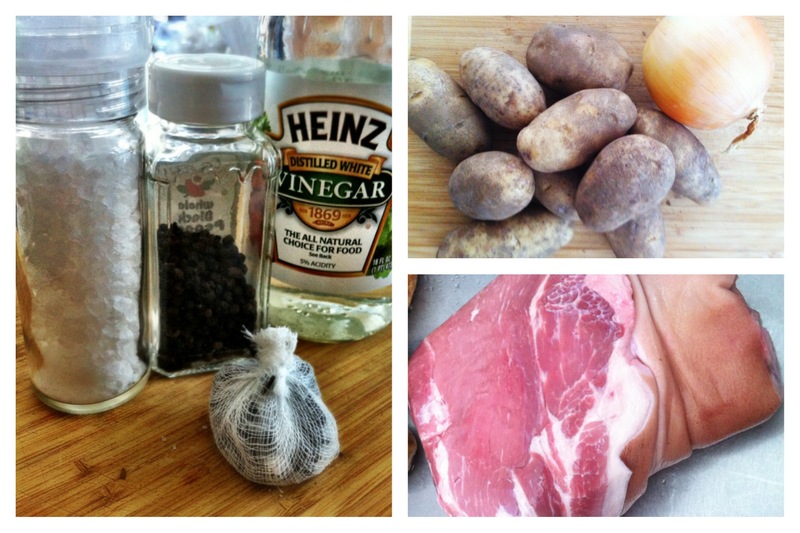 Once the potatoes are cooked through (about the time you are finished preparing the meat), add about half of the now shredded and salted pork into the pot (the other half can be used for anything else you desire including pulled pork sliders, spicy pork tacos, a filling for an omelet, etc.). 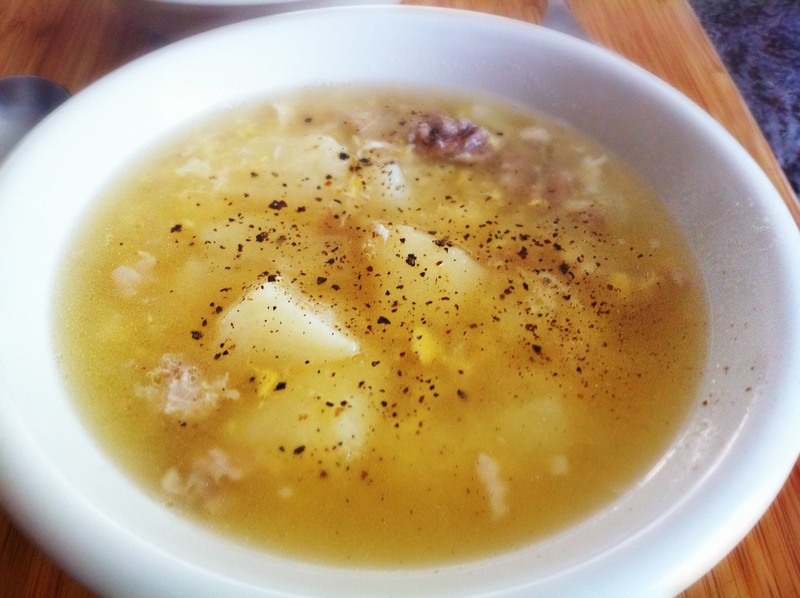 With the onions, potatoes and pork now waltzing together in the broth, bring to a full boil once again. At boil, crack and beat six eggs into the soup and then reduce heat. Add salt and the vinegar and you are ready to serve!